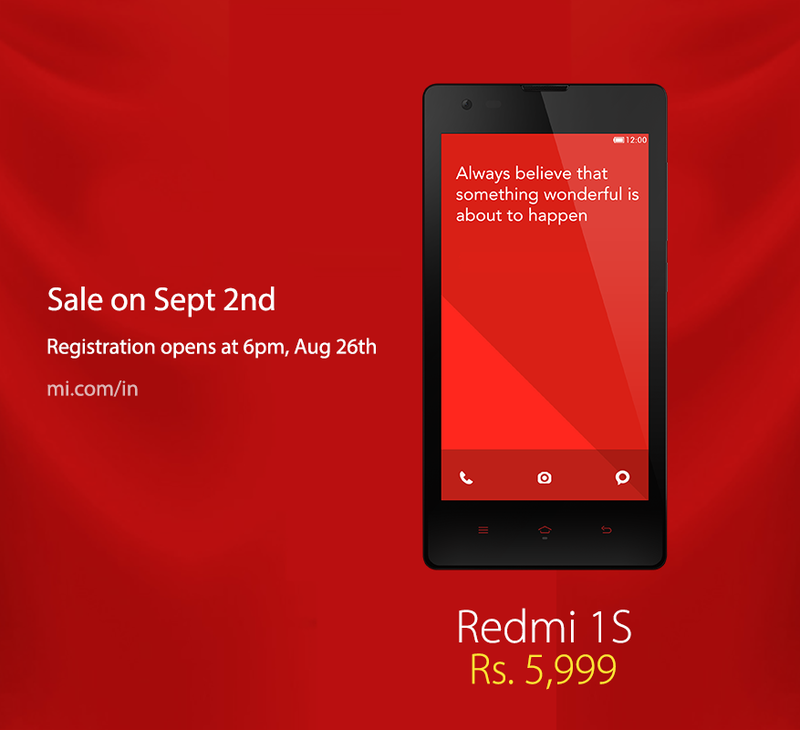 The Redmi 1s from Xiaomi is available for pre-order today on Flipkart and priced at Rs 5,999 and will go on Sale on 2nd September. Xiaomi mentioned the price tag as Rs 6,999 when it announced its launch in July 2014. But seeing the competitive market in India they have reduced the price by Rs 1,000 and the device is available at less than $100 which is unbelievable with the specs Redmi 1S has. Flipkart is the official online retailer where Xiaomi is selling its various range of smartphones in India. Earlier Xiaomi Mi3 was introduced and till date the demand is at top. Even if you call Flipkart for booking, you can listen to their normal menu option with additional MI product booking option. Redmi 1S will be the second device entering the Indian market, after the hugely popular Xiaomi Mi3. The Mi3 is being sold in seconds whenever the stock is available. According to the device maker and the online retailer the demands for Mi3 as well as Redmi 1S are more in Indian smartphone market users. The Xiaomi Redmi 1S will be competing against Motorola Moto E, Asus Zenfone 4 and some Indian smartphones. Click here to book your handset now.